Most health and social care service providers claim to ‘value’ those with a learning disability. Yet there can sometimes be a huge gulf between stated intentions and what happens in everyday practice. In a few cases that have recently hit the headlines, there have even been allegations of systematic abuse. What do we mean by valuing? How does the process of valuing work? What needs to happen to ensure that we value people with a learning disability? Too often, practitioners tend to say ‘it’s all right in theory but not in the real world’. In this book, Dr Steve Mee draws on his experience as a practitioner and lecturer on a learning disability nursing course, in which he has successfully used stories to bridge the gap between academic theory and everyday practice. Each chapter introduces the reader to a particular area of theory and illustrates it with uniquely powerful, memorable stories from practice as well as examples from recent news and historic accounts. Reading the book will give practitioners new insight, empathy and sensitivity that will make a lasting difference to their practice. It invites practitioners to truly reflect on whether they can claim to value the people they support. REVIEWER’S COMMENT: I feel this is a very important piece of work in an area that is often misunderstood. 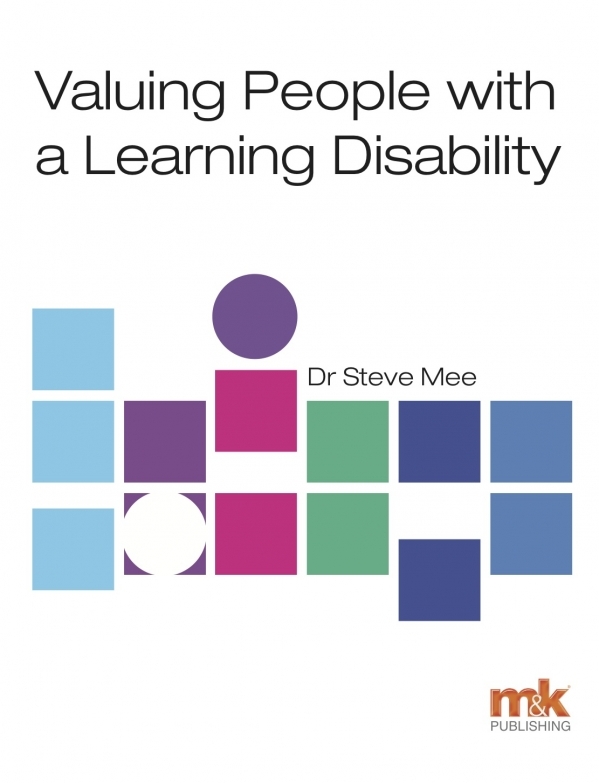 From reading the authors work, I have questioned my own approach to ‘Valuing People’ and found myself lacking in some areas, even though I was of the opinion that I did truly value people with a learning difficulty. M&K Update Ltd, The Old Bakery, St Johns Steet, Keswick, Cumbria, CAI2 5AS.